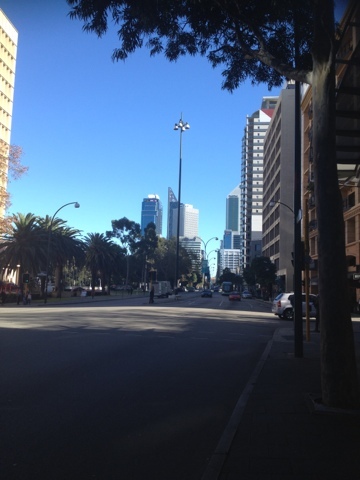 Day 2 in Perth and I'm posting from Dome. 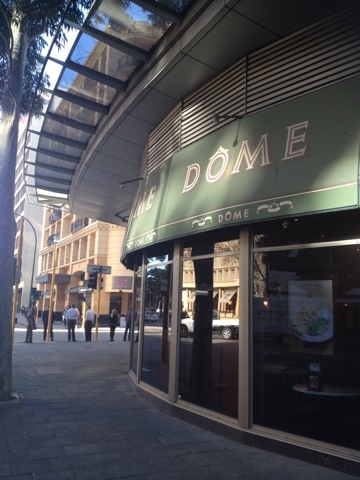 Dome is a popular cafe chain in Western Australia and they are on every corner in Perth, none are found in any other state though. 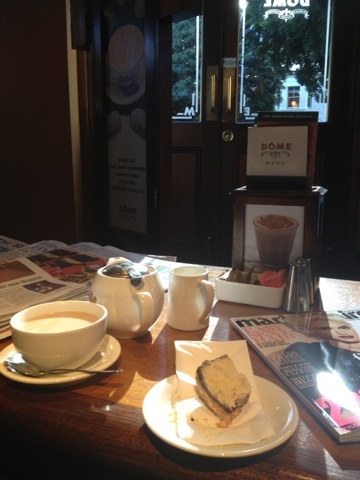 It's a chilly day so I'm happy to be inside a Dome enjoying a slice*, a mag and a coffee (although my friend is having tea in the picture). I have no laptop here so I have to make do with the Blogger app for the iPhone. It is very limited in its capabilities but at least I'm able to post something while I'm here. 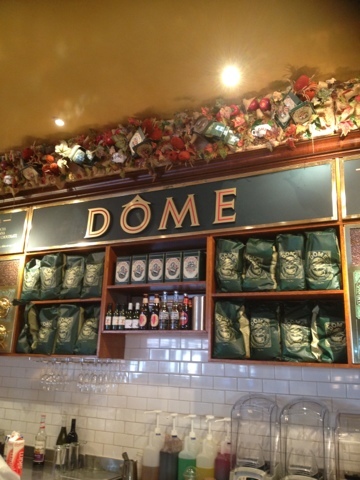 * I did have a tiny bite of the slice but will confess all on this Sunday's post.